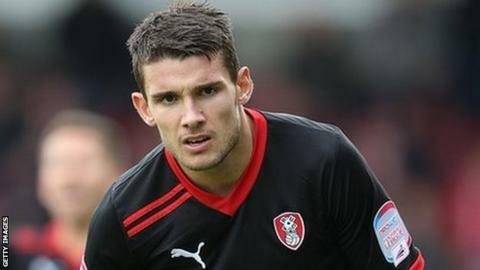 Gareth Evans scored twice as Rotherham hammered Yorkshire rivals Bradford. The Millers led after 55 seconds when Michael O'Connor fired home from 25 yards, although Kyel Reid should have levelled when he fired across the goal. Evans made him pay as he converted Ben Pringle's cross and the assister became the scorer when he ran from his own half and netted from 18 yards. Evans missed an open goal for the hosts but got his second from the corner of the area. The Millers have played two competitive games at their £20m New York Stadium, scoring seven goals and conceding none. "The performance was good and the crowd was fantastic. "Full credit to the players, it was a big game for us and we didn't hide that. They've got good players and they are well organised. "They've gone away with four and I think they've gone away lightly."